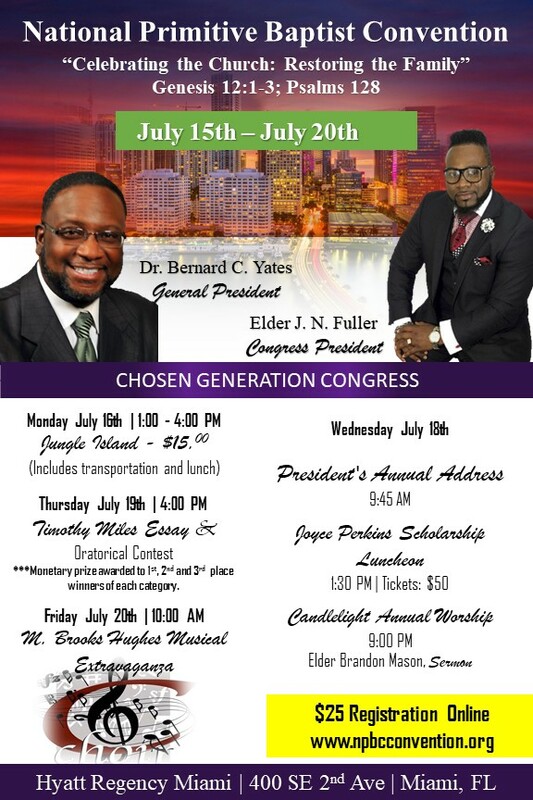 Below are an information letter and a flyer for youth and young adults who are planning to participate with the Chosen Generation Congress at the 111th Annual Session in Miami, FL, beginning July 15-20, 2018. If you have any questions, you can reach me at (863) 279-9747 or respond via email here at jnfuller82@gmail.com or pastorjnf@gmail.com. National Primitive Baptist Convention, USA, Inc.